Show Off your Pearly Whites | Give That Dog a Job! What does being a helicopter mom have to do with Johnny getting his teeth cleaned? Well it’s an ongoing joke at work that I’m “that’ owner. Any Vet or Vet Tech can tell you that certain owners are just a little more paranoid about the well being of their pets. In Johnny’s case he is very healthy, and will probably live forever 😉 but he is turning six in about a month and had started to develop a very small bit of tarter. While it was probably less then 99% of the dental cleanings we do, I would rather take care of it now and not need to worry about doing a full dental cleaning as he gets older. Johnny waking up after his cleaning. His tongue was out for quite awhile but is now back in his handsome face! At work we offer what are called Conscious Sedation Dental Cleanings. 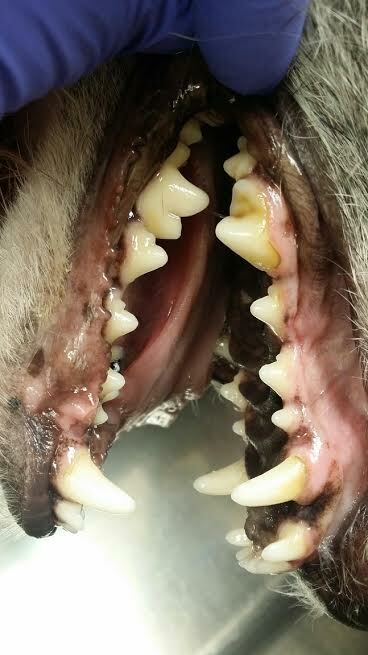 The dogs are placed under a heavy sedative that is easily reversed as soon as the cleaning is finished rather then being under a constant anesthetic like they are for normal surgery. Since Johnny has always been healthy, only had minimal tarter, and had blood work done a few months ago with no issues, I decided this would be the best option for him. Given his behavioral history I was worried that he would be too stressed or anxious and override the sedation but yet again Johnny proved me wrong. He waited in a kennel with Thor in a quieter area of the hospital until it was his turn. I held him during his pre-surgical exam and while there was some distinct shaking it wasn’t quite as severe as it normally is when he see’s a vet. After his sedative injection he quickly fell asleep and my co-worker scaled and polished his teeth while I monitored his heart rate. I also filed his nails and cleaned his ears as he started waking up. From start to finish he was only under about 30 minutes. 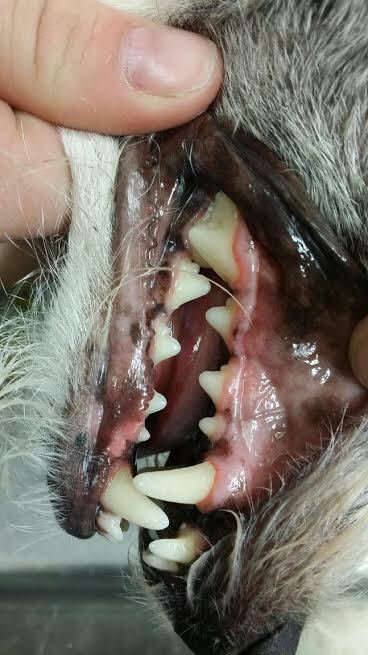 Dental health is SO important for us and our pets and now Johnny’s teeth look just as good as they did a few years ago! From a training standpoint I was beyond impressed. 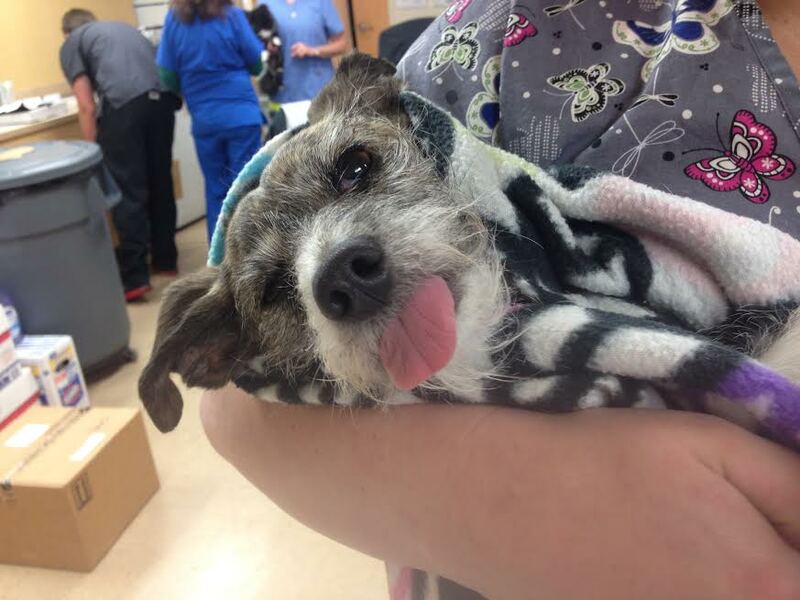 There was absolutely no barking or huffing/puffing before his surgery. Only later in the afternoon when the boarding staff was walking a large dog did they react. Once he was fully recovered and I was off for the day I had him out on leash while Thor was getting love from the girls and he remained relatively calm. He had no desire to go up or say hi to anyone but I’m fine with that, for now.